The Pentagon has slammed the Turkish official news agency Anadolu for publishing a detailed article on US military positions in Syria, indicating that the move endangers the international coalition’s fight against Daech. 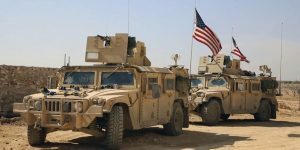 US troops are involved in the international coalition fighting ISIS but Turkey also accuses Pentagon of supporting People’s Protection Units (YPG); an armed group linked to Turkish PKK, blacklisted by Ankara, the US and the EU as a terrorist group. The Pentagon considers the information top secret. Anadolu pushed back the blame arguing that the information does not expose US troops, pointing out that the bases are located in the heart of YPG-controlled territory. The agency added that its reporters on the ground helped write the story. Some Turkish officials also rejected the US accusations that the Government “leaked” the information to the agency, Daily Sabah reports. “After a review, our understanding is that Anadolu reporters prepared this story with their own resources,” a senior Turkish official said on condition of anonymity. “Leaking information to Anadolu Agency? That would be very stupid. People shouldn’t insult our intelligence. We obviously wouldn’t leave these kinds of fingerprints,” said another official who has been identified due to government protocol, the daily reports. Posted by KanelkaTagba on Jul 22 2017. Filed under Headlines, World News. You can follow any responses to this entry through the RSS 2.0. Both comments and pings are currently closed.